The Ping G30 driver features a 460cc head that is constructed of 8-1-1 titanium, which is a lighter, lower density metal with more strength. It also features Trajectory Tuning Technology along with a stream-lined adjustable hosel design which provides the player the ability to adjust the loft one-half degree up or down to achieve desired launch and trajectory, resulting in maximum distance. The ultra-thin crown has allowed Ping to move the weight to the perimeter of the head and positions the CG lower and farther back to increase the MOI, resulting in more forgiveness and optimal trajectory. 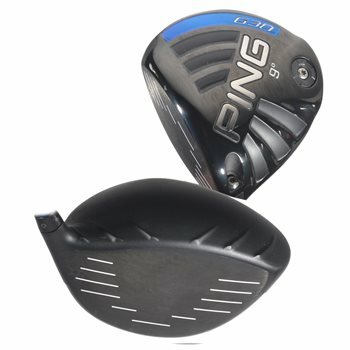 The G30 is Ping’s most forgiving head design and has the largest playing profile to date. Review by Ping G 30, 3 years ago. Review by mike, 2 months ago. Is the loft adjustable? What is weight of shaft? Thanks. The loft is adjustable .5 degree up or down. As for the weight of the shaft, we have many options available so it would depend on which shaft you chose.